According to the National Eczema Association (NEA), the most common type of eczema is atopic dermatitis, characterized by itchy rashes on the body or face. The cause of atopic eczema isn’t clear, but it seems to be strongly associated with allergies since it’s most common in individuals with respiratory allergy symptoms like asthma. This bothersome condition has to be controlled with proper treatment from the first time you experienced symptoms until you feel relief. Some individuals, however, don’t outgrow their symptoms. If you’re one of them, you need to follow an eczema treatment routine to help you prevent flare-ups and ease your symptoms when they appear. To control your eczema symptoms, you need to control the itchiness. 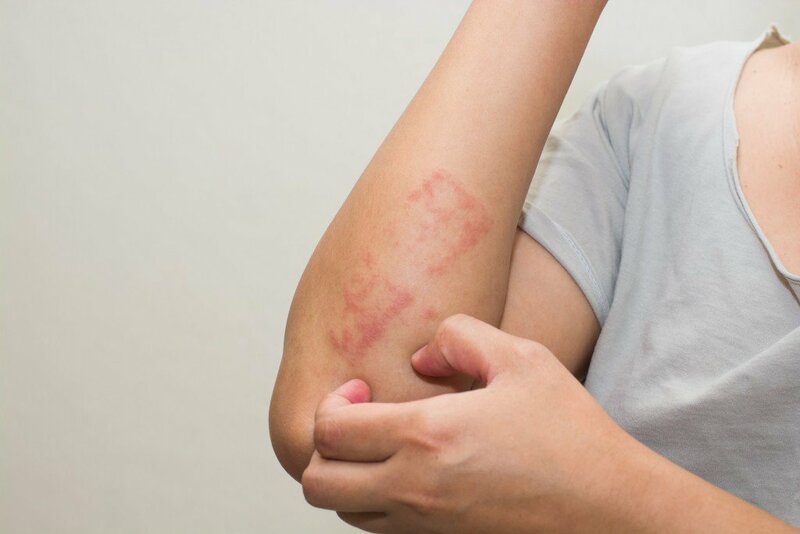 Scratching triggers your skin’s nerve endings and leads to inflammation, which then results in a rash that will stimulate further itching and scratching — a vicious cycle. You have to keep the itchiness under control because subsequent scratching could lead to excessive damage. Most notably, bacteria could seep into your skin and infect it through the open and damaged areas. Search for products specifically formulated for sensitive skin. Generally speaking, these are those devoid of fragrance as well as other ingredients, like lanolin, that can make eczema worse. It’s also best to avoid products with salicylic acids and retinol, as these can dry out your skin and trigger a flare-up. Look for gentle moisturizing ingredients, such as hyaluronic acid, ceramides, Vitamin E, and aloe vera to soothe your skin and assist healing. A good product to try is the Multiuse Cream from Kedma Cosmetics. It’s paraben-free and non-greasy, making it ideal for moisturizing and protecting the skin from cracking, dryness, and redness. The brand’s hyaluronic collection is worth a try, too. Moisturizing plays a crucial role in preventing and controlling eczema. A proper moisturizer could work by itself, but when used with a topical corticosteroid, the moisturizer could boost the effects of the corticosteroid and decrease the time you have to apply it. Even when you’re eczema-free, a moisturizer could nourish your skin and safeguard it from the elements. When using moisturizer for eczema treatment, apply it after cleansing on damp skin to seal in moisture, and use as needed throughout the day. Experts recommend limiting your use of topical corticosteroid as much as possible. Stick to twice a day applications and don’t use it for more than two weeks, as it could result in the thinning your skin if used without ample breaks. Likewise, it’s perfectly normal to have the urge to pick at scaly eczema patches, but just don’t. Focus on moisturizing them instead of removing them. Picking or scrubbing will just aggravate those itchy patches, or even infect them. It’s vital to note that your symptoms might change, as you grow older. You have to work with your dermatologist to ensure that you’re getting proper treatment specific to your changing requirements. In the meantime, stick to your eczema-friendly skincare routine, moisturize as needed, and use topical corticosteroid sparingly. Hopefully, these will be enough to manage your symptoms and prevent flare-ups from occurring.